Stunning details and photography by Jennifer at Keswick & Country. Today, we're featuring some more of the creative bloggers who have linked up to the Workspace Showcase linky. You can see the first round of features here. Today, we've captured some cottage, industrial, clever, and cozy features of 5 more workspaces! Check them out and then link up your own space to the Workspace Showcase event thru March 31! Drooling over the industrial touches in Gina's sunroom turned project room over at 3 Ring Cottage! Funky, junky, and cool is the name of the game with this palette desk by Donna at Funky Junk Interiors! 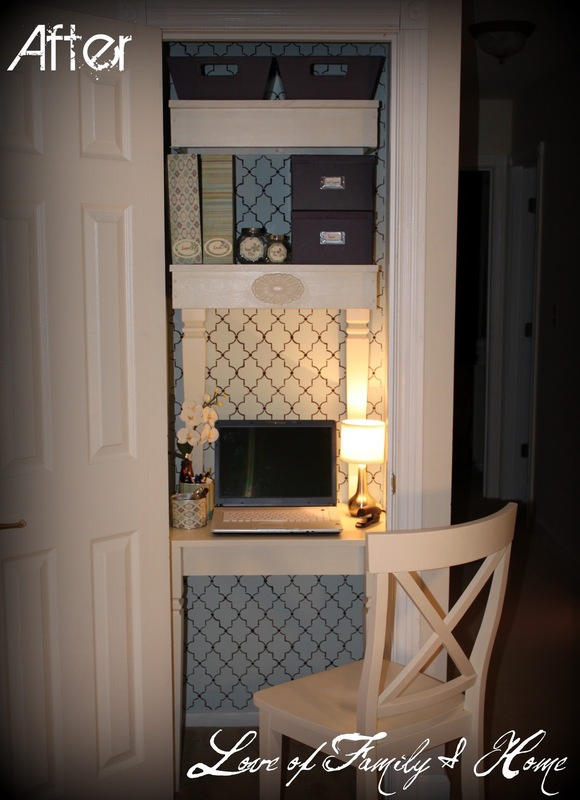 Closet turned into a petite and chic workspace by Tonya at Love of Family & Home. 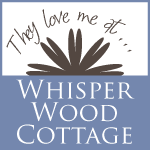 A simple and perfectly comfy spot for blogging over at Mel's Cabin. How about you? Care to share your workspace? Whether you call it an office, studio, study, craft room, etc., we want to see where you create, work, or play. I'll be looking for more spaces to feature over the next few weeks! The party is open through March 31. Thank you so much for featuring my closet office again!! Wow! Some beautiful spaces here!! Thanks for hosting this link up! So cool! Thanks so much for the shout out on my project room! I appreciate it. It's great to be featured along side such other wonderful workspaces (and it's crazy good to be mentioned in the same breath as Donna at FJI!). Thanks again! I appreciate it!